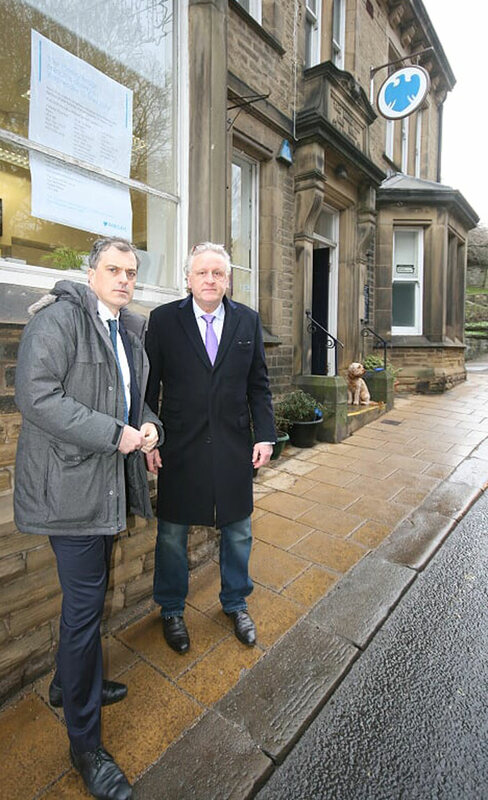 Julian Smith met with Chairman of the Nidderdale Chamber of Trade, Keith Tordoff MBE, to discuss concerns about the closure, announced on Friday, of Barclays’ Pateley Bridge and Grassington branches. The closure of Pateley Bridge’s last bank is expected to cause inconvenience for businesses and customers across the area. Julian Smith committed to making representations to Barclays about the level of local concern about this closure. I am most grateful to our constituency MP Julian Smith for getting behind the community of Pateley Bridge in trying to stop the closure of the High Street branch of Barclays Bank. There was no consultation with the Nidderdale Chamber of Trade or other community representatives prior to Barclays Bank making announcement. It is recognised across the country that the closure of the only bank on High Street has a very damaging effect on the local businesses. It is not acceptable for banks to close and in effect abdicate responsibility of banking to a local post office. Post offices do not offer the same level of services that a bank does especially for businesses. I have written to Barclays Bank and I would ask as many people as possible to complain about the decision to close Barclays bank branch on Pateley Bridge High Street. The Dales and Bowland bus company along with the Nidderdale Chamber of Trade have been spearheading a campaign to raise funds to create three new bus services for Nidderdale . The three bus services will run throughout the summer on a Sunday and all Bank holidays The new services dovetail with the Harrogate bus company number 24 scheduled bus service to Pateley Bridge. Bus services provide a vital service for local people as well as opening up the countryside to others who may otherwise not be able to visit it. I am confident enough money will be raised by the deadline to provide these new bus services starting at Easter running throughout the summer. Julian Smith MP also met with supporters of the DalesBus service. The summer and bank holiday bus service, used by around 3,000 people last year, was hailed for helping to draw more visitors to the Dales and for improving access for locals. The group are now aiming to secure an extra £2,000 in funding for the service to run again this year. Support has already been secured from the National Trust, and from the County Council’s Locality Budget, with a further £2,000 donated by the Yorke Arms in Ramsgill. The buses are planned to provide links into Nidderdale from York, Ripon, Keighley and Otley, with buses also running from Pateley Bridge to Upper Nidderdale, Coldstones Cut, Grassington and the Washburn Valley. Another bus will link Harrogate with Brimham Rocks, Fountains Abbey, Kirkby Malzeard and Masham. I was delighted to hear from constituents about a number of important local schemes. I am concerned about the number of recent bank branch closures across the constituency and will be writing to Barclays about the devastating impact of the loss of such a vital service. Access to banking services is particularly important in rural areas and I want to make sure that our high streets and local businesses thrive. I hope the decision can be reversed.